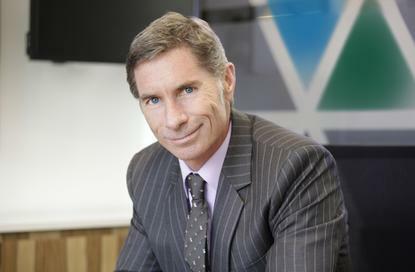 John Donovan, who recently resigned as A/NZ channels and general business director at Cloud and virtualisation company, VMware, has joined multi-national identity and access management software corporation, ForgeRock. Based in Sydney, Donovan, an ARN Hall of Fame inductee, will serve as the company’s new A/NZ and ASEAN regional vice-president. He will be responsible for accelerating ForgeRock’s presence across A/NZ as well as taking on support for expansion across the broader Asia region, focusing on business development and revenue growth as well as supporting the sales growth of ForgeRock’s identity platform and secure digital business initiatives. ForgeRock CEO, Mike Ellis, said the new appointment further strengthens the company’s global sales team as it grows its identity management market share in the Asia-Pacific region. “John is a results-driven and decisive executive with significant experience in delivering business IT success. He will play an integral role in our continued regional expansion, assisting clients to optimise their identity management strategies, building value relationships and substantially adding to the experience, skills base and business knowledge,” he said. Donovan claimed with the rapid proliferation of IoT devices, digital disruption and the need to support evolving models for delivering products and services through new channels such as mobiles and APIs, ForgeRock positions itself to tie everything together with its unified identity platform. “I look forward to working with our dedicated partners to support our customers at a time when they are maturing their efforts and need identity management solutions that support their drive to innovate in the sharing economy,” he added. In his 30-year stint in the channel, Donovan has worked across a number of tech companies. Prior to his role in VMware, he was the Asia-Pacific and Japan vice-president of channels at Novell for two years. He also served Symantec in 1995 as its North American distribution marketing manager and worked his way up the ranks becoming A/NZ channel sales manager in 1997. He was appointed A/NZ managing director in 1999. He held this role for six years before jumping ship to Novell. He has also worked for NetComm, Merisel, and Imagineering.